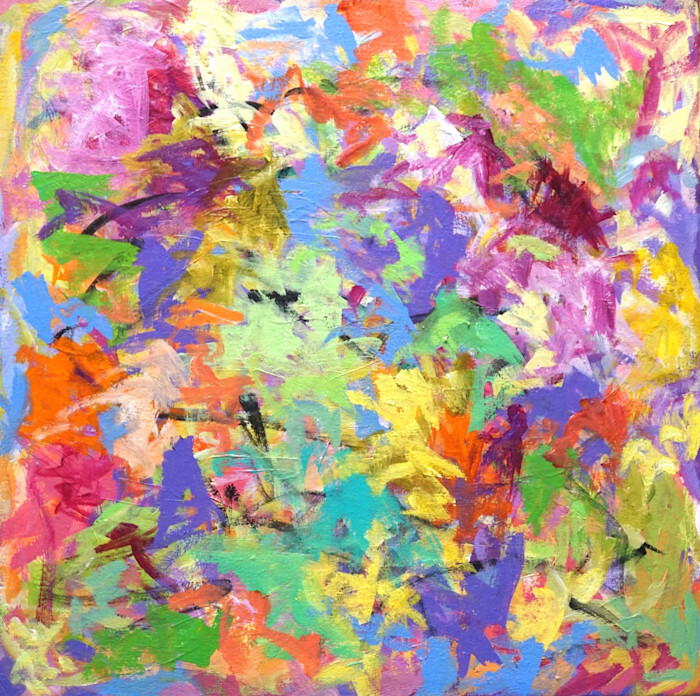 This is an acrylic abstract in all the colors of spring. It has lots of texture and lively brush strokes. The 3/4" edges are painted black and it is wired and ready to hang. However, it would look wonderful set in a black floater frame.